Ramat Givat Zeev neighborhood offers American-style homes in a distinctly Anglo community, with bilingual English-Hebrew schools. A new Jerusalem suburb catering to English speakers is hoping to draw new immigrants to Israel from the US with its unique, American-style homes and facilities aimed at replicating American Jewish communities here in Israel. The Ramat Givat Zeev neighborhood is part of the town of Givat Zeev, a growing community of 18,000 at the northeastern edge of greater Jerusalem, just minutes away from the city center. Modeled after Jewish communities in the Anglosphere, Ramat Givat Zeev was built with potential olim (immigrants to Israel) in mind – people who dream of living in the Land of Israel, but who feel the transition to Israeli life too great a challenge for their families to overcome. 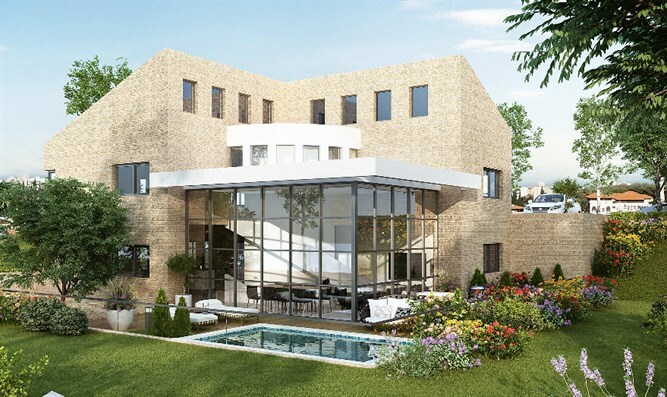 Offering large, American-style private homes and apartment units, Ramat Givat Zeev offers everything English-speaking Orthodox Jews expect from a community. The neighborhood boasts a shopping center and a state of the art country club which will provide Ramat Givat Zeev residents local shopping and recreation. A swimming pool, sports fields, tennis courts and workout rooms are in the plans as well as beautiful parks, plazas and decorative fountains. The local schools even teach in a combination of English and Hebrew, helping kids to learn a new language while retaining their mother tongue. Ramat Givat Zeev offers a big selection of housing options - 234 residential units in luxurious buildings and approximately 130 private and semi-private homes. The apartments are spacious and designed on a very high standard and meet extremely high completion specifications. Building residents will enjoy a custom designed lobby, well-kept gardens and easily accessible underground parking. The buildings have two entrances, one at each street level. 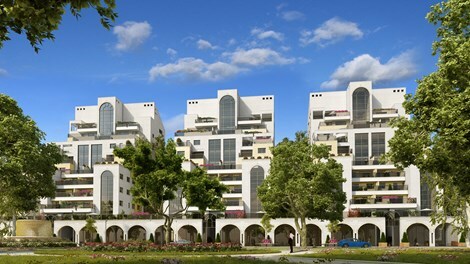 Ramat Givat Zeev’s luxury buildings were designed by Israel’s leading architects with a focus on spaciousness, high building specification standards, large sukkah porches, private parking for every apartment and optional storage rooms. The buildings include 2 – 6 bedroom apartments plus exclusive penthouses. The apartment sizes are especially large. 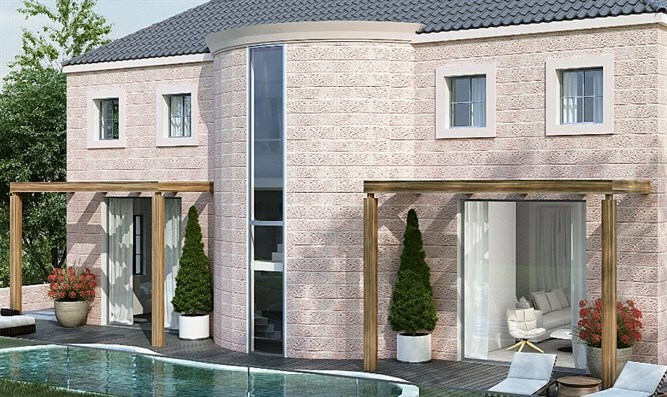 The private and semi-private homes range from over 2,500 to almost 5,000 square feet, including a selection of exclusive villas designed by the foremost Israeli architects. 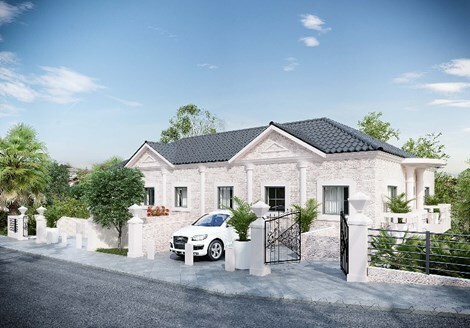 There is a choice of various layouts for the homes’ design, all perfectly planned to enhance family living, with basements, private parking and an option for an in-ground pool. The highlight of Ramat Givat Zeev is the special composition of its community. The many Americans making aliyah to Ramat Givat Zeev guarantee that the community’s unique character will be maintained.